Chris has been working with Dr. Stumpf on behavioral, hormone and microbiome studies of wild chimpanzees in Kibale National Park since 2007. Since 2012, he has been collecting observational data and samples from the Kanyantale Community. The foci of these studies are juvenile and adolescent development, female dispersal, and sexual conflict. He will be also starting a forestry masters degree program with the Uganda Wildlife Authority this year. Katie (Giggs) has been working with Dr. Stumpf as a field assistant on the Kanyanchu River Project in Uganda since 2017.
collecting samples for Dr. Stumpf's projects. 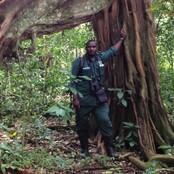 Howard is the field site manager in Uganda. He oversees sample and data collection. Martin has been working with Dr. Stumpf as a field assistant on the Kanyanchu River Project since 2012. Fred has been working with Dr. Stumpf as a field assistant on the Kanyanchu River Research Collaborative since 2018. Abby is a second year PhD student in the Department of Anthropology generally interested in host-microbe interactions. Her current research efforts focus on 1) better understanding the inter-species microbiome comparisons of various body sites of human and non-human primates, 2) characterizing the composition and function of the oral microbiome of human and non-human primates and 3) elucidating the roles of diet and host genetics on the composition of the lemur gut microbiome. She is also interested in understanding the role of host genetics on the vaginal microbiome composition of women from different races/ethnicities and their effect on pre-term birth rates. thousand lifetime hours of watching David Attenborough documentaries. Taylor is an undergraduate majoring in Molecular and Cellular Biology with a minor in chemistry and focus in microbiology. He has been with our lab since spring of 2016 and is currently researching the gut microbiome in non-human primates relative to age. Taylor will be a Mayo Clinic Fellow this summer 2018. Faith Teodoro is a senior undergraduate student studying Molecular and Cellular Biology and pursuing a minor in Anthropology. She helps assist Dr. Stumpf by managing data for the microbiome lab and is interested in studying the genetic factors contributing to preterm birth. Krista Milich obtained her PhD on the impact of habitat degradation on female red colobus monkey reproductive function in Kibale National Park, Uganda. She examined how anthropogenic changes to forests influence female reproductive physiologies, behaviors, and hormone concentrations. Krista is an Assistant Professor of Biological Anthropology at Washington University in St. Louis. Talia is interested in sexual selection, mate choice, the relationship between hormones and behavior, and cognitive processes. Her previous research includes investigating patterns of tool-use acquisition in great apes and studying potential behavioral cues used by female callitrichines to assess male mate quality. 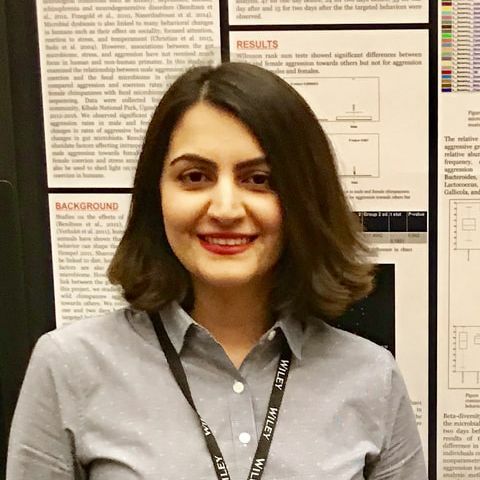 Talia obtained her PhD in Spring 2018. 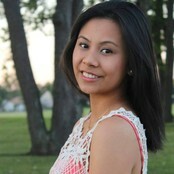 Nam worked as a postdoctoral researcher at the Institute of Genomic Biology at UIUC studying computational metagenomics. His research interest is in the area of computational phylogenetics, with an emphasis on developing methods for analyzing ultra large datasets. Nam is currently a postdoctoral researcher at the University of California, San Diego, supervised by Dr. Vineet Bafna. His work looks at the impact of viral integration on cancer genomics. Dr. Stumpf was Julie's field supervisor and external member for her PhD. They continue to collaborate on work in disease ecology and epidemiology. 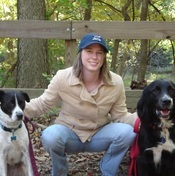 Julie received her PhD from the Odum School of Ecology under Dr. Sonia Altizer in 2013. She continued on to complete her DVM at the University of Georgia in 2017. 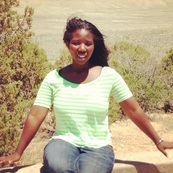 She now works at the UC Davis One Health Institute as a Postdoctoral Fellow with Christine Kreuder Johnson.  Jennifer was an undergraduate student in Biology and Anthropology at the University of Illinois. Jennifer is now an Associate Professor and the Program Director at American Public University based in West Virginia. Jeff was an undergraduate in Dr. Stumpf's courses while pursuing his B.A. in Anthropology. Jeff is a PhD candidate at the University of Notre Dame whose dissertation research focuses on long-tailed macaques in Bali, Indonesia. He is a Notre Dame Presidential Fellow and an Irwin Press Fellow. ﻿David Wood was an undergraduate student studying Biological Anthropology and Psychology. In Dr. Stumpf’s lab he worked with coding behavior from her long-term chimp study.﻿ He took a field course in Costa Rica where he proposed, collected data for, and wrote a research paper on white-faced capuchin (Cebus capucinus) nearest neighbor preferences. David is working as a field assistant on the Lomas Barbudal Monkey Project in Costa Rica under Dr. Susan Perry. 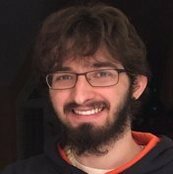 2019: David will start his PhD in primatology at Yale University under Dr. Eduardo Fernandez-Duque! Happy Alfred. Happy worked as a field assistant with the Kanyanchu River Research Collaborative from 2014-2018. Happy has extensive experience collecting behavioral data and biological samples from wild monkeys. Summer Sanford worked as a graduate student interested in infant strategies during weaning and mother-infant interactions in white faced capuchins at Lomas Barbudal Biological Reserve, Costa Rica. Her previous research has included investigating endocrinological development in chimpanzees, social networks in adolescent teenage girls, male dispersal in white-faced capuchins, inter/intrasexual selection in ruby spotted damselflies. 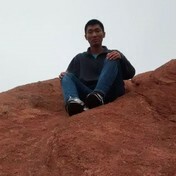 Christopher Yao is a senior undergraduate student studying Molecular and Cellular Biology on a pre-medicine track. He helps Dr. Stumpf by using spreadsheets to organize data collected by Dr. Stumpf's Uganda study of chimpanzee behavior. Matt Kim is a undergraduate senior studying Kinesiology, and has plans on working in the medical field. In the lab, Matt enters chimpanzee behavioral data that comes to us from Uganda and organizes the files to allow Dr. Stumpf’s research assistants for analysis. ​Rachel worked on Dr. Stumpf's Kanyanchu River One Health Project in Kibale National Park, Uganda. 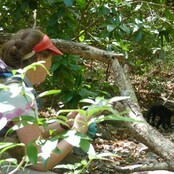 She spends her days collecting samples from primates, and following chimpanzees. She received her B.S. from McGill University and her M.S. in Evolutionary Anthropology from the University of Toronto. She enjoys spending time with her friends Rutooro Town of Bigodi, where she is know by her empaako (pet name) Akiiki. Rachel will enter as a PhD student in Fall 2019. Ali graduated from Iowa State University with a B.S. In both Biology and Environmental Science before starting in Stumpf Lab as the lab manager. As lab manager, she helped coordinate and organize Dr. Stumpf’s behavioral, microbiome, and hormone labs from 2015-2016. 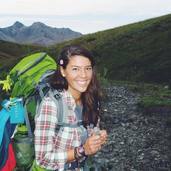 Ali is a graduate student in the Program for Ecology, Evolution and Conservation.​ Her committee consists of Drs. Anna Kukekova, Janice Bahr, and Rebecca Stumpf. Nicole started as an undergraduate researcher in the Stumpf lab and transitioned into the lab manager position which she held from 2016-2018. Nicole is a graduate student in the geology department at the University of Illinois focusing on paleoclimate research. Dr. Patrick Omeja was the field manager of Dr. Stumpf's Kanyanchu River Project from 2011-2018. 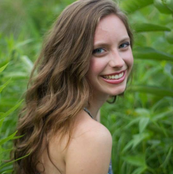 Delaney Corbitt was undergraduate student studying Integrative Biology and pursuing a minor in French. She assisted with the organization and management of the data collected for Dr. Stumpf's Uganda study of chimpanzee behavior. She hopes to pursue a career in the medical field after her studies. Paige Jamieson was an undergraduate in Anthropology, concentrated in biology. She worked in Dr. Stumpf's Primate Lab performing hormone assays mostly with chimpanzee samples. She is most interested in the evolution of life histories in human and non-human primates and spends a lot of her time thinking up questions about developmental and behavioral ecology. 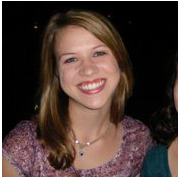 Cecily Grossmann was an undergraduate in Integrative Biology at UIUC. She worked on organizing the data accumulated in Dr. Stumpf’s 2011 Uganda study. Laura was undergraduate student studying molecular and cellular biology at the University of Illinois at Urbana-Champaign. She assisted with data organization and compilation.